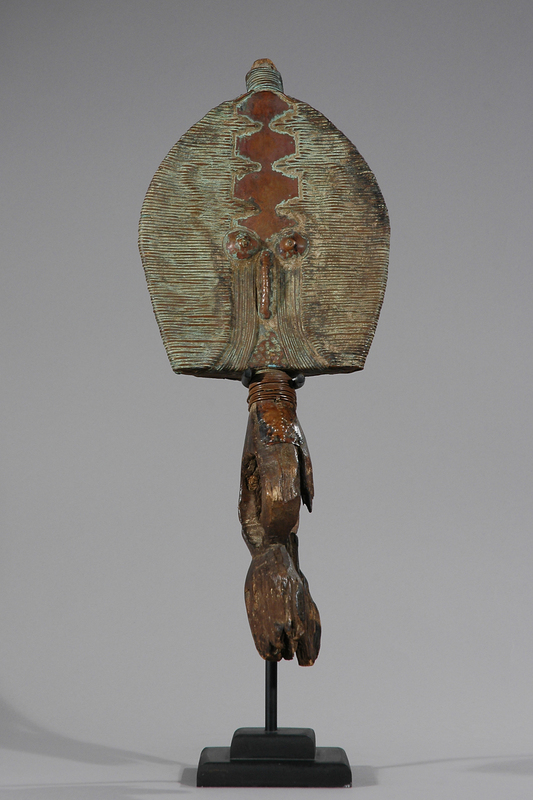 This figure was mounted on a container holding relics of important clan ancestors, serving as guardians. 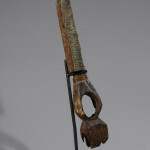 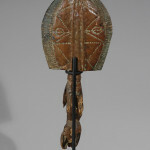 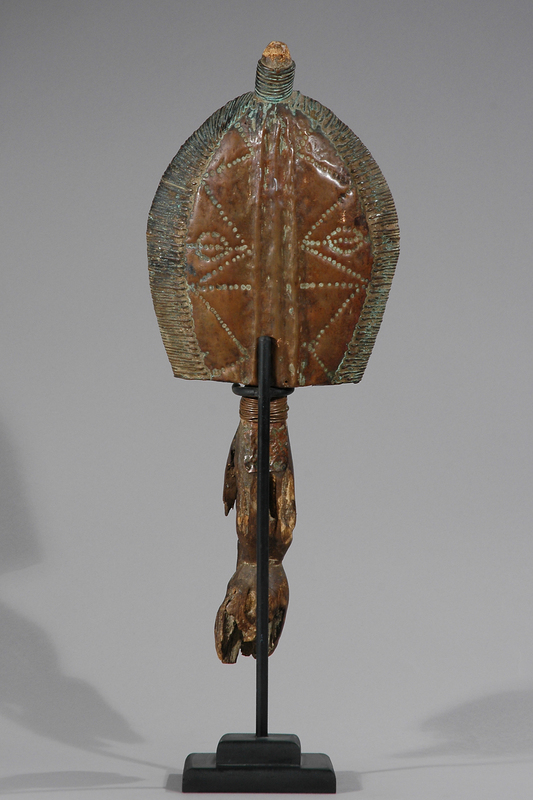 The Mahongwe are a subgroup of the BaKota, who, like the nearby Fang, also make reliquary guardians dedicated to Bwitti, the spirit of the ancestors. 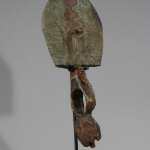 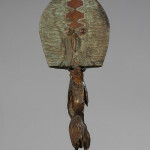 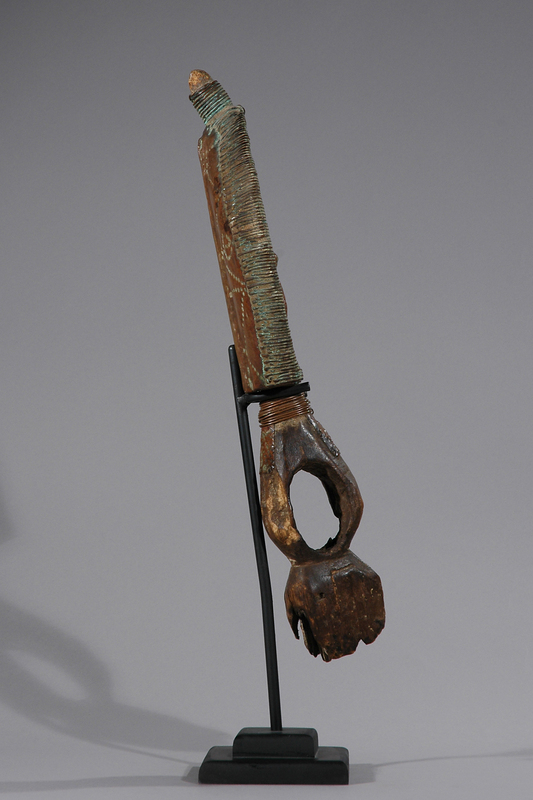 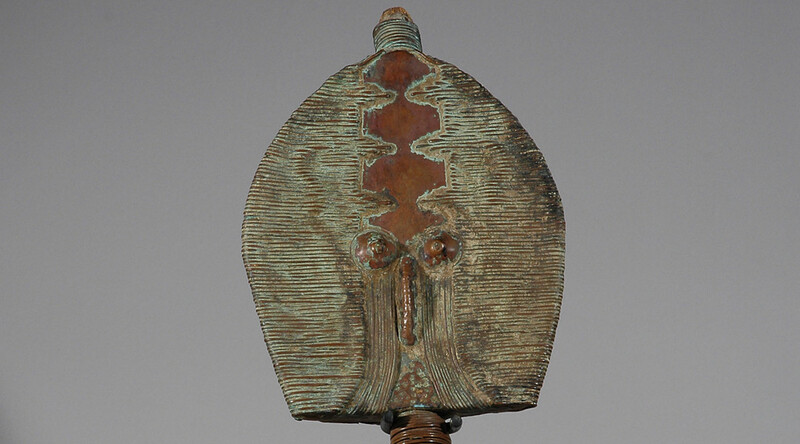 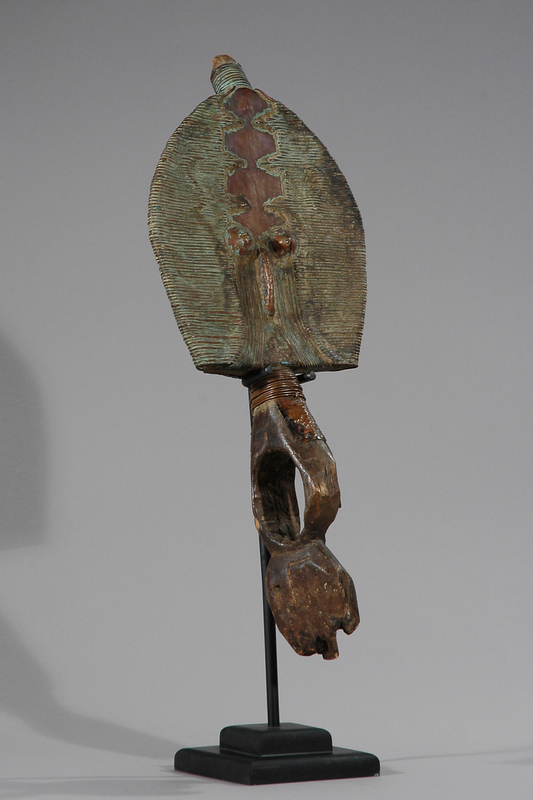 Sheathed in metal (brass and copper wire), the figure is highly abstracted.